The name Between the Lines, implies the message that is tacit, that it cannot be seen from the outside. Value that can be recognized without being expressed. Thus, the perfect name for this deck of playing cards. The name also literally implies the space Between the Lines. 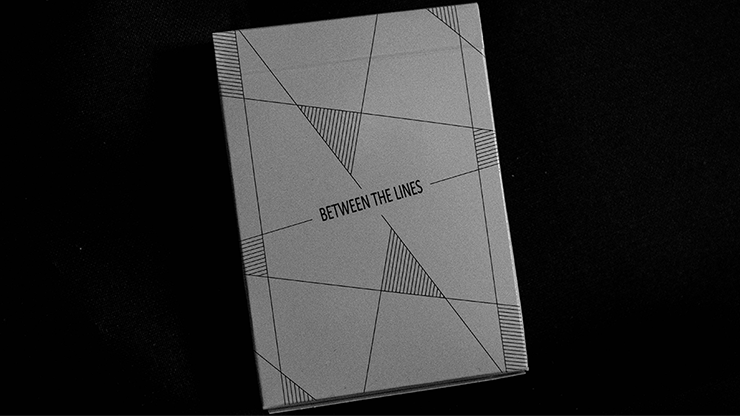 The faces of cards are designed to be seen only between the lines. It's minimal but has many aspects. Consider the incredibly visual aspect of when the deck of cards is fanned or spread -- diagonal lines and partial stripes abound in amazing patterns.